I scheerer love how Tom Scheerer used the above bentwood chairs for one of his latest projects that was shown in House Beautiful. I have kitchen tables and chairs on the brain as of late. I am now thinking a square table would be most efficient for my space. If only I could find a reasonably priced table like the white one in the top image. Tom had that one custom made. Any custom furniture makers out there in AZ? 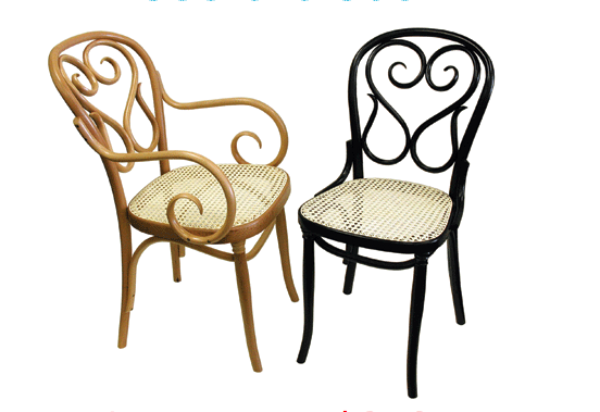 Anyway the above bentwood chairs can be purchased through Homeward Furniture right here. I walk past the Thos. Moser showrooms here and drool. I love bent wood. Have I ever told you how much I LOVE bentwood chairs. I LOVE THEM!!! I wanted some to go around my table but couldnt find any reasonably priced in the valley. What??? What about your lovely square back chairs? You aren't lovin'em and leavin'em, are you? That said, I am a faithful woman to my man, but when it comes to chairs, I LOVE them ALL!!! Haha the comment from Amanda is quite funny. But indeed maybe you can make the table? 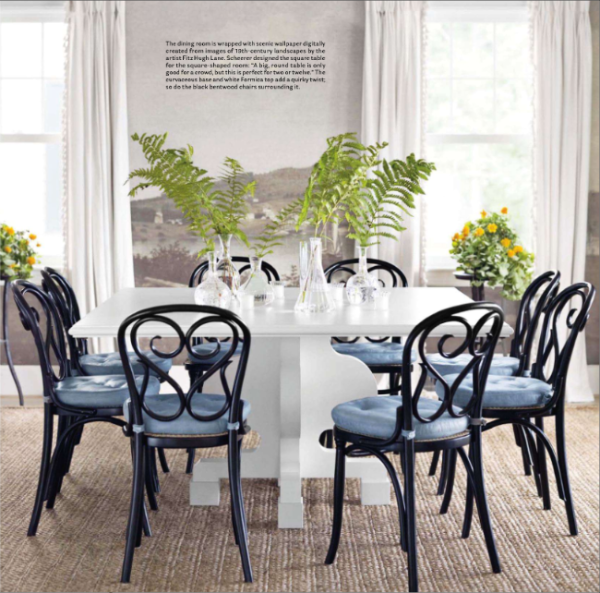 Love how Tom Scheerer has set up this table with gorgeous blue cushions on the elegant Bentwood chairs. Love this version of the Bentwood- just a little more pizzaz then the regular ones you see. That light in the first image is pretty sweet! You always find such great pictures! Great pictures! I think I have a small obsession with bentwood chairs these days. I want them for my dinning room so bad!